The Maggiore Island, where Saint Francis lived 40 days as a hermit. An old convent which the famous American director has beautifully restored. 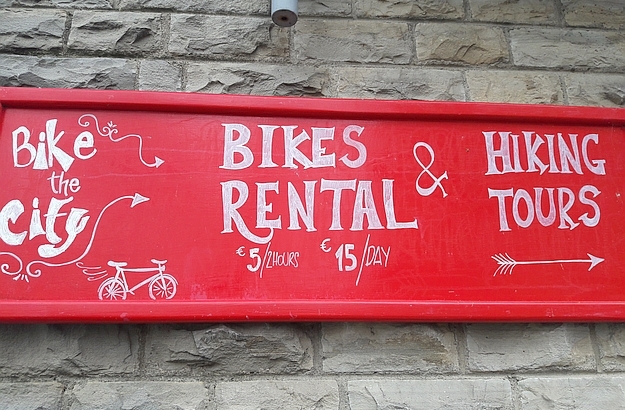 You can bike around the lake and come full circle in just one day! 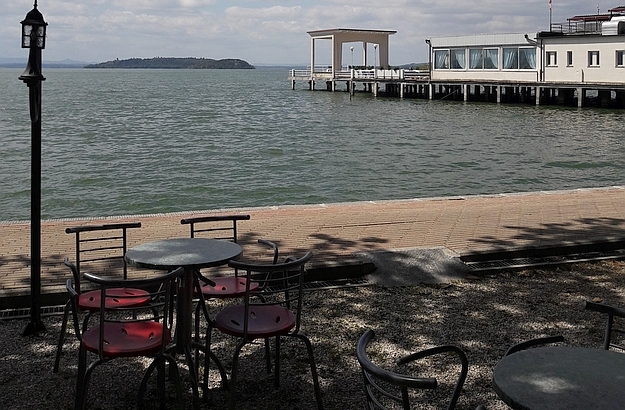 There are many waterfront cafés to choose from in Passignano. 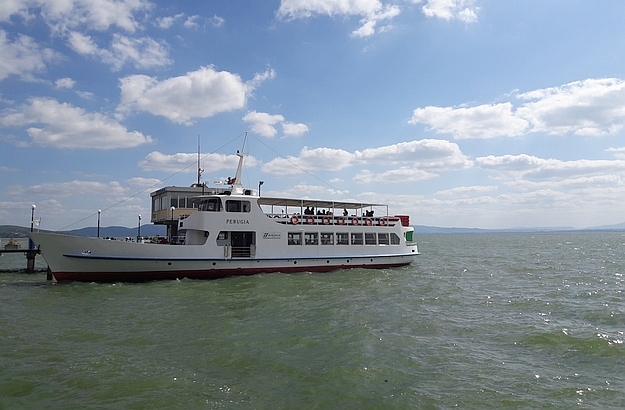 The only means of transport to get to the Maggiore Island: the boat! I have never tired of the view… During the day, the waters of the majestic lake are often peaceful and turquoise blue, and in the distance stands out the hieratic Isola Maggiore, the island where Saint Francis of Assisi spent forty days as a hermit in the early 13th century. 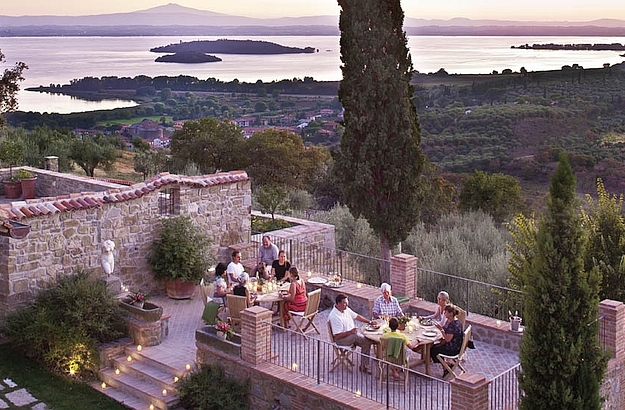 When visiting our Trust&Travel properties in Umbria, it has always been a ritual of mine to drive off the highway for a quick coffee break in Passignano, a little town located on the shores of Lake Trasimeno. But since we included the gorgeous property restored by George Lucas in our portfolio of high-end luxury villas in Italy, the brief stop-overs have turned for me into much longer stays. 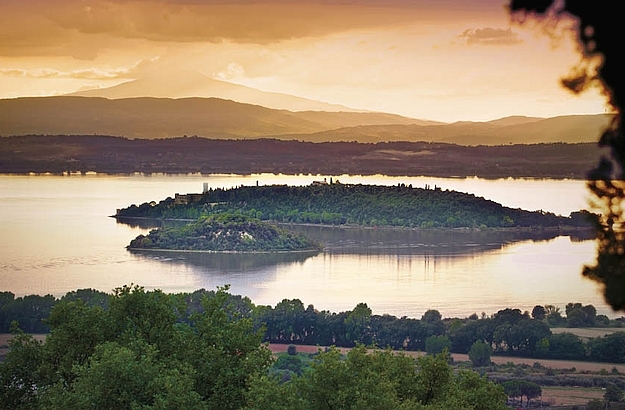 The fourth largest of the bel paese, with a surface area of 128 square kilometers, Lake Trasimeno is “endorheic”: water flows into it from a few streams but none flows out! – as is the case for the Dead Sea, the Great Salt Lake and the Caspian Sea. 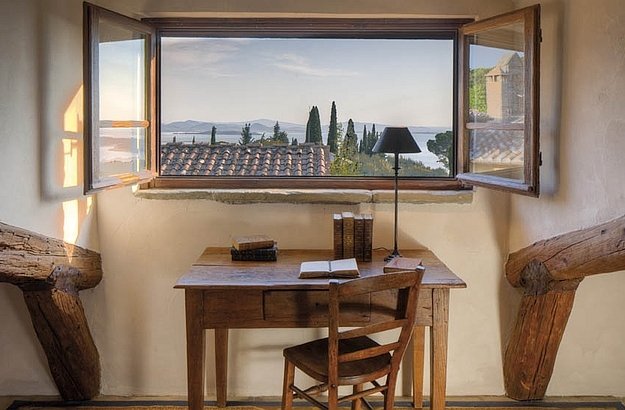 From Il Convento dei Capuccini – the old convent which the famous American film maker painstakingly restored, – the view stretches across Passignano onto the gleaming lake, the Maggiore island and the mountainous horizon. A stop in Passignano is something I’d recommend even if you’re not planning to spend your holiday at the Convento dei Capuccini. Within easy reach from the main road, the little resort town is home to more than a thousand years of art and architecture, and has several waterfront cafés. It also offers all kinds of sports equipments and opportunities: tennis, horse-riding, trekking, water sports… At the Marylebone bar, you can rent a bike to explore a little further afield, discover the nearby castles and even devote a whole day to riding around the Trasimeno and coming full circle.